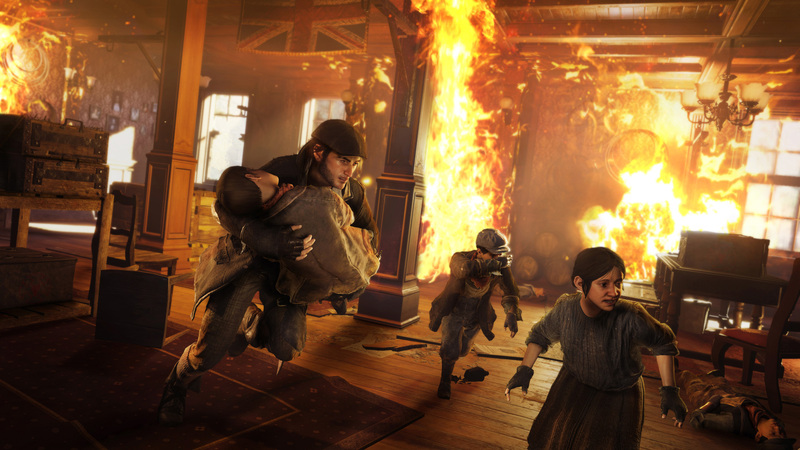 This guide will show you how to make as much money as possible in Assassin’s Creed Syndicate. We will cover various game play tactics, as well as Gang Upgrades that can make your life in London much easier in the later stages of the game. Read on for our Assassin’s Creed Syndicate Money Guide - How to Make Money in Assassin's Creed Syndicate. 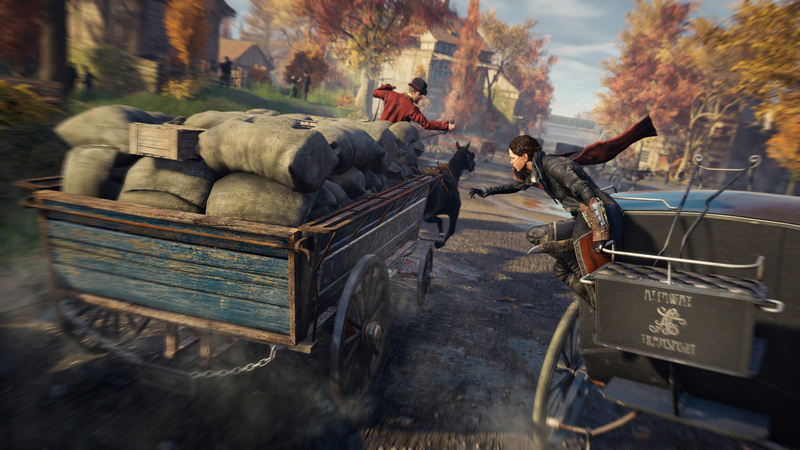 For more on Evie and Jacob’s adventures, visit USgamer’s Assassin’s Creed Syndicate Walkthrough and Guide. Over there we've got item location guides and complete sequence walkthroughs. In order to put our plan into motion, players will need to progress to Sequence 4 and unlock their train hideout. This will give them the benefit of a safe, allowing Evie and Jacob to return to the train and loot the safe several times per play session. When you combine this with some of our tips, you’ll be earning enough cash to buy Buckingham Palace… if it were for sale. This is probably your least effective way to earn cash, but since you most likely intend to play through the game anyway, we decided to toss it on the list. If you’re just looking to earn a quick buck, however, don’t bother loading into a story mission. You can usually find about the same amount of money by looting one of the common chests that you’ll find scattered around London. There are a lot of activities that you can participate in around London, and they’re generally marked all over your map. Some of these will be tasks for allies, and others will be the various activities you must complete to clear the Blighters out of each borough. The latter isn’t a bad way to earn money, mostly because you can find several chests scattered in most Blighter related events. Chest hunting is made easier if you’ve cleared the Blighters out of the area you plan to farm, and if you have purchased the map from a shop vendor. You can still do it even without the map, you just won’t see all of the chests at any given time. If you plan to do some chest runs, ensure that you have unlocked Scavenger I and Scavenger II from the Ecosystem branch of Evie and Jacob’s skill trees. Once you hit Sequence 4 you’ll get a safe on your train hideout, and the Swindler track of the Gang Upgrades tree will help you earn more cash. Specifically, ensure that you unlock Pub Investor, Pub Games, Book Maker, Tea Magnate and Shop Investor. These should be your priority, but all upgrades in the Swindler branch will help you to earn or save money. Prioritize these above the rest. It may not seem like it, but one of the best things you can do to keep your cash pile high is to unlock the Loot Takedown skill from the Stealth tree of Evie and Jacob. This means that every enemy you kill (who doesn’t see you coming) will be automatically looted. Not just cash, but equipment. This equipment is what you end up spending all your money on, so by effectively looting it, you’ll save lots. There are other, minor ways to earn money in Assassin’s Creed Syndicate, but we’ve managed to cover all of the most effective methods. Investing in money making (and saving) skills and upgrades early is really the way to go, and never being afraid to stop and loot a chest as you pass it by. Do these things, and you’ll be able to buy all of the best outfits and weapons. Well, not really, since Evie’s Aegis outfit is unlocked through the Secrets of London.